Destroyer. 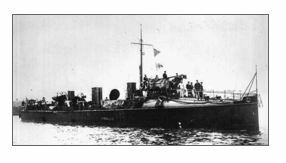 Sank 0n 04.04.1918 off Portland Bill, having collided in fog with the SS Kenilworth. There were no survivors from a complement of 60.